We live in a quiet neighbourhood. After 8pm you can hardly hear a sound, despite being right next to what can be considered a main street. …by the sound of a retching cat. Muci had somehow caught a mysterious bug, and the poor thing was vomiting for three days. He was very considerate about it, actually; most of the time, he avoided throwing up on the carpets. If I had to leave the house to run errands or go to class, I had to be especially careful when I returned, checking each room and scanning the floor for cat puke. The way one would scan the ground when walking in a minefield. Having a sick cat in the household can throw your routine off slightly, in addition to the worry it entails, and it helped to have supportive friends around. Three friends were particularly helpful, and I wouldn’t have been able to survive those three days without them. Suffice to say, we’re friends for life. 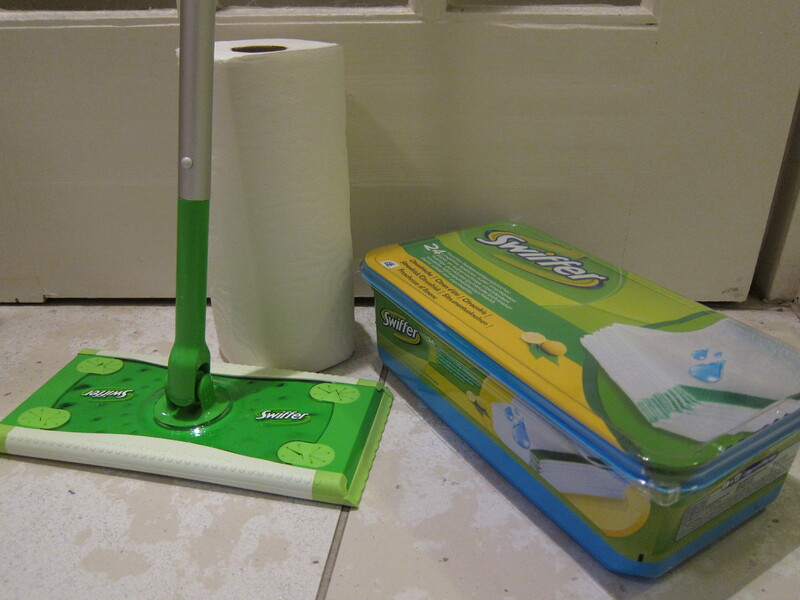 Don’t ever leave me, Mr KitchenTowel and Mr & Mrs Swiffer. Ever. In addition to, or perhaps because of, the vomiting, he wasn’t eating. So off to the vet we went. 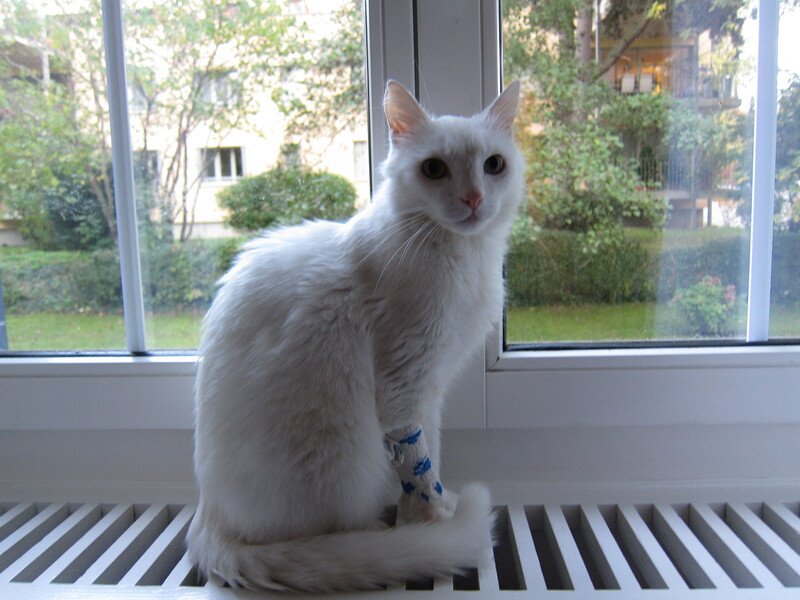 After a blood test and an X-ray, the vet still couldn’t find out what was wrong with him. So he was put on a drip and was “warded” at the vet’s overnight, until he started eating again. Thankfully he was able to come home late the next day, and judging by the dirty look he gave his carrier, he was just as relieved about it as I was. He slowly recovered over the next few days, and was soon back to his old self. Normal life resumed. 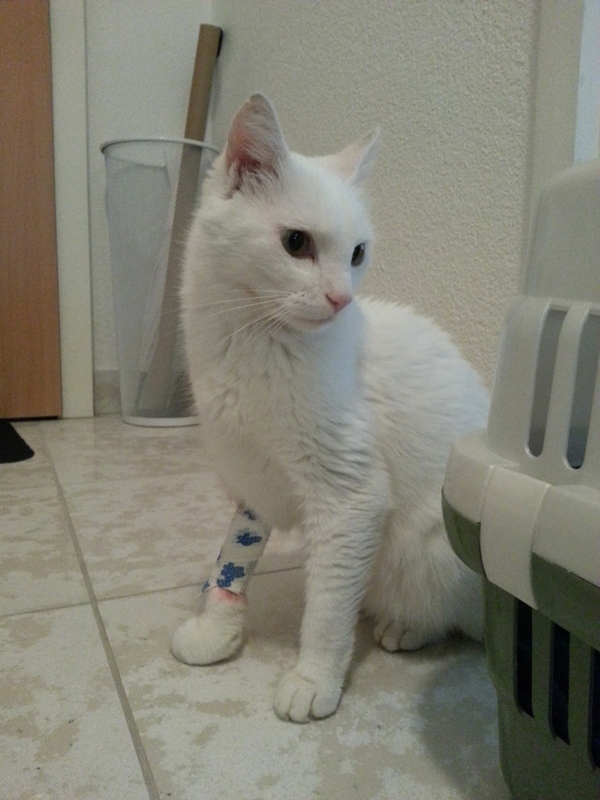 We now have a sniffling white furball in the house, walking around the house with a pack of tissues in his front paw. Have you ever heard a cat sneeze? I have, and it makes me laugh, every time. Yes, compassionate is my middle name. It looks like Muci’s immune system needs a boost. Maybe I’ll sneak an echinacea capsule in his food tomorrow. 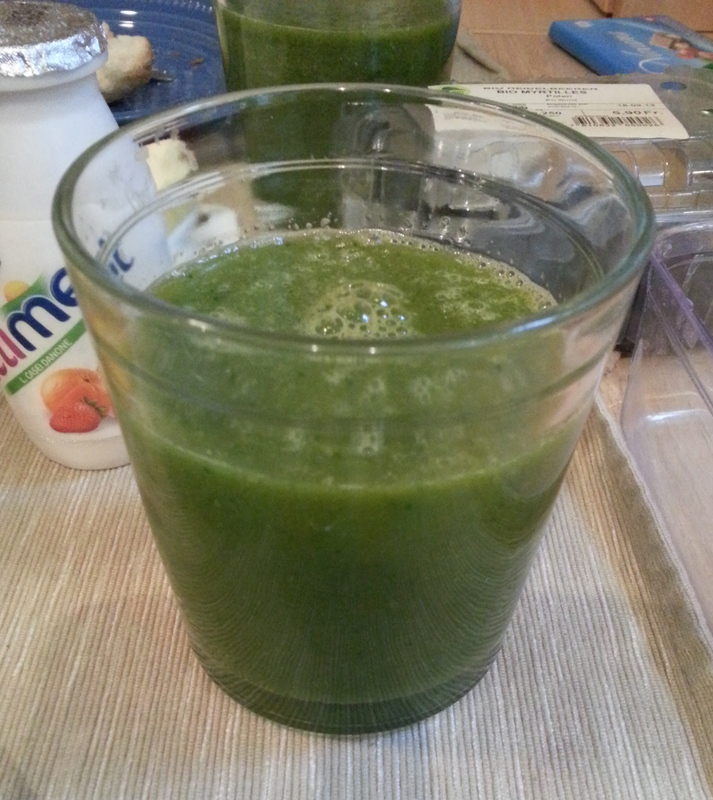 Or give him a sip of a vitamin-packed green smoothie in the mornings. Just don’t tell the vet, ok? 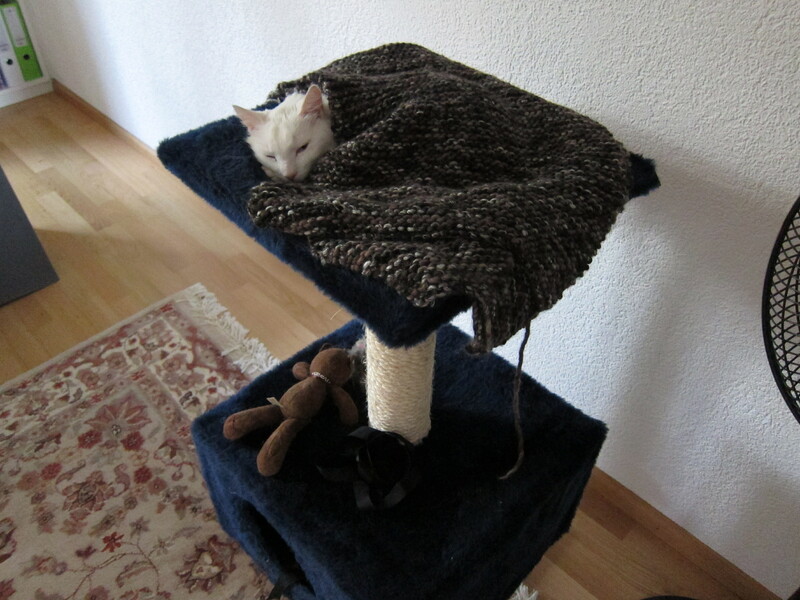 This entry was posted in Blog and tagged cats, Muci, pets. Bookmark the permalink.